In a society that elevates activity and over-achievement to a virtue, sleep often is viewed as a luxury or even wasted time. Lack of sleep and bad sleep habits have become epidemic. In a society that elevates activity and over-achievement to a virtue, sleep often is viewed as a luxury or even wasted time. When was the last time you slept deeply, straight through the night, to awaken alert and refreshed? For most of us, this experience is rare. Western medicine has little to offer insomniacs. Drugs numb the nervous system to mimic sleep, but in reality they only mask the symptoms and do little more than provide short-term relief, as drug-induced sleep often causes the insomnia to rebound with a vengeance. Chinese medicine differentiates several types of insomnia and can effectively treat the root cause of each. Acupuncture has an extremely calming effect on the body and mind and can bring yin and yang (i.e., rest and activity) into balance. From the Chinese medicine perspective, nighttime is yin and daytime is yang. Sleep is yin and daily activity is yang. Insomnia results when the yin and yang are out of harmony and out of balance. In a healthy person, their yang rises with the yang of nature, and their yin with the yin of nature. Due to stress or lifestyle issues, this natural balance becomes disturbed and intervention is required to restore it. Acupuncture calms the mind and settles the restless, free-floating yang. The energy within the body is directed back toward a place of harmony, contentment and health. 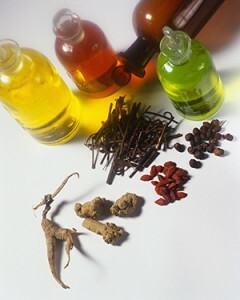 Chinese herbs can tonify the yin of the body while anchoring the yang at night, promoting a natural and restful sleep. Chinese medicine is remarkably effective in the treatment of insomnia — central to its philosophy is the idea of balance and harmony within the body as well as between the body and nature. Christopher Vedeler is a licensed acupuncturist and clinical hypnotherapist in Scottsdale, Ariz., with an MS degree in Oriental Medicine. He is the owner of Oasis Acupuncture, an Oriental medicine clinic where he operates a general family practice that specializes in psychological and emotional disorders. www.oasisacupuncture.com, info@oasisacupuncture.com or 480-991-3650. ← What are you doing “under” there?